According to local legend, this park was originally called "Lovers of Jesus Point," back in the era when Pacific Grove was a Methodist retreat camp. Since the late 1800s, the beach at Lovers Point in Pacific Grove has been a popular spot for boating and swimming, and over recent decades surfers have joined the mix. Lovers Point Park has above all become Pacific Grove&apos;s best-loved spot for picnics, plein air painting, and scenic photography. Because of its unique east-facing location, it is also one of the only spots on the West Coast where you can watch the sun rise over the water. 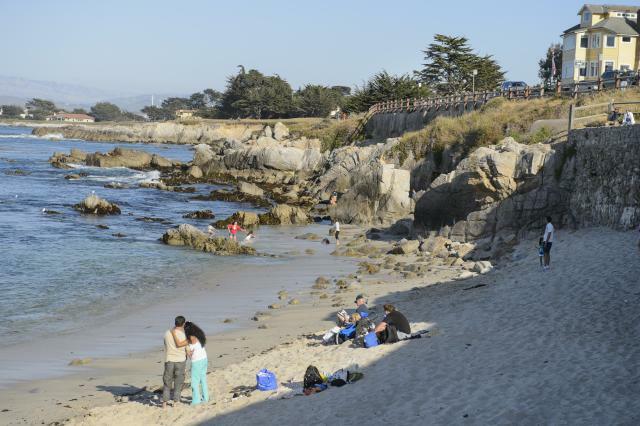 For over 100 years, Lovers Point Beach has been Pacific Grove&apos;s most popular spot for shoreline recreation. 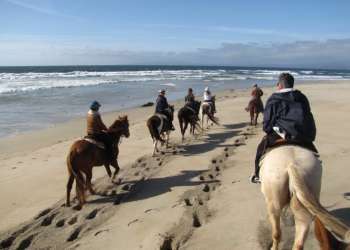 Surfers love its reliable waves, while kayakers find it a perfect launching spot from which to get out on Monterey Bay and view the coastline and native wildlife. Scuba divers frequent the kelp forests here to get a close-up view of its marine denizens. Landlubbers can compete on the beach volleyball court. Lovers Point Beach is also the starting point for the infamous "Kelp Crawl" portion of the Triathlon at Pacific Grove. Locals can always be found lounging on the grass at Pacific Grove&apos;s well-groomed 4.4-acre Lovers Point Park. Many visitors climb the rocks at the point for which it is named in order to get a spectacular view of Monterey Bay. Forgot to pack your picnic? You can buy snacks at the on-site snack bar. Be sure to stop by at the end of July to experience Pacific Grove&apos;s annual tradition, the Feast of Lanterns. From Monterey, take Lighthouse Avenue northwest. It will become Central Avenue. Take a right on Grand Avenue. When it meets Ocean View Boulevard, look for parking. From Highway 101, follow Route 68 west. It will become Forest Avenue in Pacific Grove. Stay on Forest Avenue until it ends at Ocean View Boulevard and look for parking.